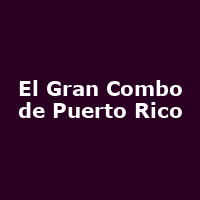 Puerto Rican Salsa music orchestra based in San Juan, commonly known simply as El Gran Combo. The orchestra was formed in 1962 by Rafael Ithier and is considered to be one of the world's finest ever salsa orchestras. Typically, El Gran Combo comprises around 10 players and three vocalists including Charlie Aponte, who has been with the orchestra since 1973.